Sen. Tom Cotton blasted former National Security Adviser Susan Rice amid reports that she tried to learn the identities of officials on President Donald Trump's transition team whose conversations with foreign officials may have been incidentally collected during routine intelligence-gathering operations. Cotton told conservative radio host Hugh Hewitt on Tuesday that Rice often seems to get caught up in foreign policy-related controversies from the era of President Barack Obama. Hewitt noted that Rice had previously said she "knew nothing about" surveillance of Trump officials, but new reporting showed she obtained intelligence reports about contacts between foreign officials and Trump team members. This led Hewitt to speculate that she might have been lying. Cotton, a member of the Senate Intelligence Committee, then called Rice the "Typhoid Mary of the Obama administration foreign policy." "Every time something went wrong, she seemed to turn up in the middle of it, whether it was these allegations of improper unmasking and potential improper surveillance, whether it was Benghazi, or many of the other fiascos of the Obama administration," Cotton said. When Hewitt asked if Cotton had ever requested an "unmasking," he said he had not. "I've never asked for an unmasked name, and frankly it's hard to imagine the circumstances [under which] you would in the ordinary course of business outside of an exceptional review like we're conducting now," Cotton said. "Unmasking normally occurs by law enforcement or intelligence analysts who need it to conduct an investigation or to understand the raw intelligence." When asked whether the "unmasking" should be the subject of a Senate hearing, Cotton said, "There's no doubt about that." Cotton said there are "three big issue areas" regarding this story — Russian hacking ahead of the election, which resulted in email leaks from Democratic Party operatives; "conspiracy theories" from Democrats and the media about Trump associates' possible collusion with Russian officials; and potential wrongdoing by Obama administration officials by requesting unmasking of US citizens "without proper grounds." "That's the only area where we know a crime has been committed because David Ignatius wrote that column about Mike Flynn and the Russian ambassador, and whoever provided that information to him acted outside of the law and we should get to the bottom of that just like we should get to the bottom of the first two issue sets," Cotton said. 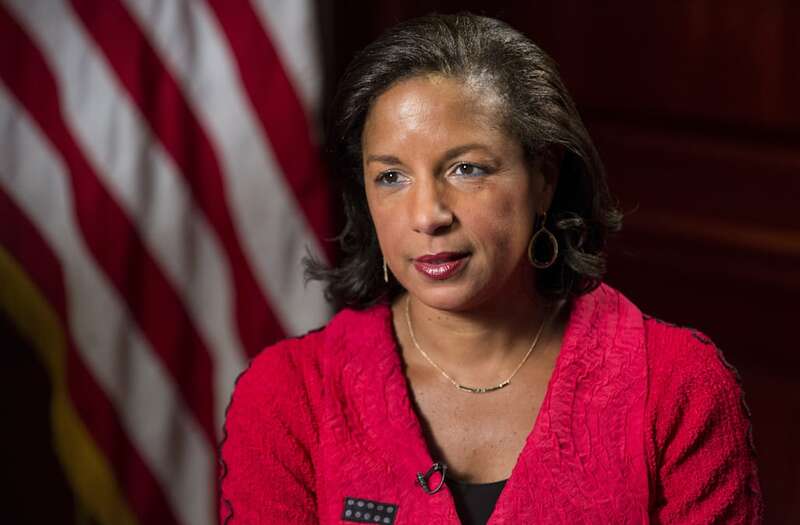 National-security experts have said that Rice's reported requests to identify who was speaking with the foreign officials before Trump was inaugurated were neither unusual nor against the law — especially if, as Eli Lake of Bloomberg reported, the foreign officials being monitored were discussing "valuable political information" that required the identity of the people they were speaking to, or about, to be uncovered. "The identities of US persons may be released under two circumstances: 1) the identity is needed to make sense of the intercept; 2) if a crime is involved in the conversation," Robert Deitz, a former senior counselor to the CIA director and former general counsel at the National Security Agency, told Business Insider. "Any senior official who receives the underlying intelligence may request these identities," Deitz said, noting that while "the bar for obtaining the identity is not particularly high, it must come from a senior official, and the reason cannot simply be raw curiosity."